Can you believe 1/12 of 2015 is already over? I can’t! It’s been a great month and we have had such a great time showcasing all of our amazing designers. I love seeing the individual style and creativity that each designer brings. It’s not too late to grab ALL of these kits. Today is the last day, so hurry! Something to Blush About by Erica Zane & Libby Pritchett at SSD was made with love to add a romantic flair to your pages or simply make your photos shine with its gorgeous colors. Jenn Labre and Wendy Page have teamed up to create this sweet new winter collab. Grab it for 20% off all weekend! Let Us Be Adventurers by Misty Cato, is a tribute to trying new things and exploring new places. New Textured Bit – 01, is new from Vinnie Pearce Design. Use code: ddtb15 for an extra 15% off. Expires January 31st. Scrapping with Liz has 2 new sets of templates that will help you pull together those January photos or a special album that you might want to make. They are both 20% OFF through 2/6. [gotta have] heart is a versatile kit from Studio Vicki Robinson for all your loving relationships! 20% off! The State of Mind series by Queen Wild Scraps continues with New England! Studio Flergs & Amber Shaw have their #believeinmagic first kiss is coming to Sweet Shoppe Designs this weekend. Save big on the whole collection! A must for Disney & Sleeping Beauty fans. Meagan’s Creations and JB Studio have teamed up for this gorgeous digital scrapbooking collection, Honeymoon. Took a honeymoon to a beautiful destinaton? This collection is elegant, vintage-styled and totally romantic! Save over 50% when you purchase the bundle! Blagovesta Gosheva has new fun collection in her Studio dedicated to artists and crafters. Show of your art! Get the kit or the whole bundle and save 45%! New in the aA store this week is ArtsyTransfers, delivered in layered .psd format to allow clipping masks and recoloring as desired. Part 3 of the Winter layered template is making it’s debut to document all your snowy adventures. There’s also a brand new AnnaRelease sporting the theme of memorable. Fuss Free: Be Mine 1 & 2 templates are full of hearts and flowers and make creating layouts about the loves of your life quick and easy. From single photo layouts to multiple photo layouts, you’ll find a spot for every loved one! Now through Feb 6th, if you purchase Set 1, you’ll receive Set 2 FREE! The templates are Fresh Fruit priced at 20% off for the first week of release. Amber LaBau has a fun new collection of items that are part of the February Memory Pockets Monthly. They’re all 20% off thru Feb. 1, but if you subscribe to her newsletter, check your inbox for even greater savings! Dunia has a new set of Lightroom Presets to make your photography stand out. A sweet “Da-Doodly Love” kit and set of 3D journal cards for your upcoming Valentine’s Day memories! Buy the kit before 2/5 and get the journal cards FREE! In November, after seeing Traci Reed post about her Creative Live classes, I started poking around the Creative Live website. I hadn’t seen it before and I was instantly excited about all the possibilities. With the weather getting colder and the days shorter, I figured it was the perfect time to take a class. Not only would I get to learn something new, but I would finally have something to end the boredom of running on a treadmill. Each morning I would turn on the laptop, start watching, and start running. It was great. Her meaning was clear. Photography isn’t only about taking something that is already there and capturing it with the click of a button. While it isn’t less than that, there is so much more than can intentionally be done to capture moments. I have thought a lot about that phrase and there are a few things I believe that set “taking a picture” and “making a picture” apart. Perhaps they are the same things that set apart a good photographer from the everyday person with a camera. INTENTION: While I am all for spontaneous moments and working with what you have, there is definitely room for being intentional with your photography. Even if you stumble upon a moment you want to capture (rather than planning the moment), you can still make quick decisions that will affect the outcome of your photo. Angle, camera settings, lens choice, framing and cropping, editing. All of these things change the final product. In these photos, my daughter was standing in the kitchen, doing what she does best: begging to lick the beaters. The way my kitchen is set up, all of sunlight comes in from one half of the room. When she first started in on her beater, she was facing into the kitchen and there was no light on her face. I simply put my back to the windows and called her name. She turned around, the light hit her beautifully, and I clicked. STORYTELLING: When you are photographing something, you have many decisions to make in the moment. Like mentioned above, all of those decisions will change the outcome. One thing that is clear in “making a picture” is that you have a chance to tell a story. So, you have to ask yourself, “What is the story I am trying to tell?” When you think in those terms, it affects what you shoot and how you shoot it. Take this photo, for example. I was photographing a family of eight a few weeks ago. It was warm for a December day and they were thrilled to get some fall-ish pictures when it was clearly not fall anymore. While the mom was talking to one of the younger kids, the oldest daughter was standing on a log. I looked down and noticed her fun toenail polish. In that moment, I knew I wanted to record it. It’s such a “slice of life” photo for a young teenage girl. People have different ideas about editing and what it should be and what it should not be. For me, editing is a powerful tool. It’s not just a tool to fix mistakes (though it can be used in that way), but it is more to help me recreate the feeling in my heart. What I am photographing, I feel something. It is usually deep within me. I “see” something, not just with my eyes but also with my heart. When I edit, I strive to recreate that feeling. It might not always recreate the exact physical reality, but it recreates the emotional reality. I love this picture of my oldest daughter. We had a chance to shoot with just her, and I love that we captured this moment in time. My almost-twelve-year-old is looking so beautiful and mature. I was intentional with this photo, choosing the time, location, angle, and more. But editing allowed me to recreate exactly what I saw with my heart. Here is the original photo, complete with an ugly orange cone. Editing allowed me to make a picture rather than just take one. So what do you think? Do you see difference between taking a photo and making a photo? My name is Grace. I’m from the bustling city of Hong Kong. My husband, who’s Korean, and I met in Hawaii where we both went to college. We’re now residing in Utah where he’s continuing his education. I stay at home with our little young ones; my boy is a mischievous 3-year-old, and my girl a sassy 20-month-old. I was a participant at a scrapping contest last October, and the challenge was to use typography creatively in our layouts. I immediately knew I wanted to do a typography portrait, and that’s how I did the background. I also really like the pops of bright colors on the white background, and the little black speech bubble. All combined, it made for a really fun page to look at. If you Google “typography portrait,” you’ll find tons of tutorials on how to achieve the look. I went an extra step and created some big words along the lines of the image, and that really emphasizes the theme. CREDITS: Bestie and Add Ons by Karla Dudley; Best Summer Ever (background paper) by Mommyish; Cropped Round 2 Mystery Basket. 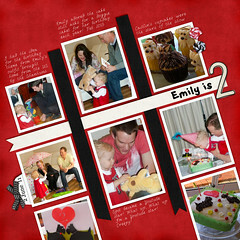 I started with digital scrapbooking, though now I want to move into doing a little hybrid. I stumbled upon the hobby when my son was born 3 years ago, and when I couldn’t find freebies I wanted, I tried making my own. That’s my start in designing! I have no formal training and it was all self-taught, so it took me a while until I was accepted at a store. I’ve now been selling my designs for about 1.5 years. Themes. Usually my inspiration to create comes from photos I need a kit for, and I go find a color palette that will fit it. I’m also very much inspired by quotes; it’s the English major in me! Computer: I work on a 3-year-old Samsung laptop. It runs on Intel core i5 and has Windows 7. It used to only have 4GB RAM, but I updated it a year ago to 10GB. It’s still barely enough though… I work my poor computer like a horse. Program: I design in PS CS6, make some patterns in Illustrator CS5, and use Lightroom 4 for organizing my supplies. I also use Art Rage occasionally. Camera: I have a Nikon P330 and I love it. It’s no DSLR, but it allows me to adjust aperture and shutter speed, and has a manual mode as well. It is compact like a point-and-shoot but also allows me some freedom in how I take my photos. As I said, I love it! Two of my favorite tools in Photoshop are the Burn and the Dodge tools. They work like a brush, but instead of painting colors, the Burn tool darkens and the Dodge tool lightens. With a little practice, you can turn any flat image to look 3D. A fun way to use this is to make your own bubbles. Draw a circle, run the Burn tool along the bottom curve (depending on where the light source is), then switch to the Dodge tool and make a highlight on the opposite corner (if the shadow is on the bottom left, make your highlight on the top right). Lower the opacity of your circle, then you have a fun little bubble! With much difficulty, I picked “Korean Wave” as my favorite. It was inspired by my daughter’s 1 year-old birthday photo. She was in a bright pink Korean dress. However, when I wanted to scrap the photo, I couldn’t find any kit that was specifically Korean (most Asian kits out there were inspired by Chinese/Japanese culture) and bright enough (again, most Asian kits out there had dark, rich colors). I decided to make my own Korean kit. I loved Korean fabric, so I looked through pages and pages of it, and finally decided on the colors. I have kept the main kit pretty theme-less, but the collection comes with a themed pack, and I drew most of the elements in that. The Korean costumes in that pack are based on the actual costumes of my kids, and that makes this kit really close to my heart. Another Asian-themed kit, “Cherry Blossom” has been really popular since it was released last spring. One of the very first kits I made had a tree full of paper flowers in it, and I had always wanted to revamp it. I chose a more subdued palette for this kit, and a lot of people told me they liked how airy and soft the kit feels. This kit is special to me because it’s turned out exactly like how I pictured it in my mind, though it took two attempts for me to get there. 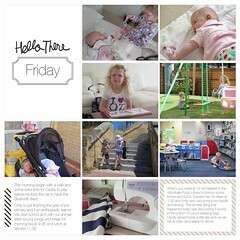 Here are some more inspirational layouts using Hat of Bunny’s products. All of the layouts are linked to the originals with credits. Use coupon code HOB_TDD_35 to save 35% off your purchase at Hat of Bunny’s store, exp Feb 28, 2015. Go have a look in Hat of Bunny’s store! We will randomly select TWO winners to win $10 in product! All winners will be selected through the Rafflecopter widget below. There are several ways to enter and you can do ALL of them to gain more entries for yourself! According to Wikipedia, Eliza Caroline “Lida” Obenchain was an American author, women’s rights advocate and suffragist from Bowling Green, Kentucky. Lida Obenchain, writing under the pen name Eliza Calvert Hall, was widely known early in the twentieth century for her short stories featuring an elderly widowed woman, “Aunt Jane,” who plainly spoke her mind about the people she knew and her experiences in the rural south. I hadn’t heard of her before, but I came across this quote of hers and I love it. I remember being back in high school and watching, How to Make an American Quilt. I loved the idea of quilting and telling stories. That was the same time in my life I got interested in scrapbooking and memory keeping, and I loved how much the two crafts had in common. I think it’s still true today. As scrapbookers, Eliza’s strong sentiment still lives strong. Patchwork? Scrapbooking? Ah, no! It was memory, imagination, history, biography, joy, sorrow, philosophy, religion, romance, realism, life, love, and death; and over all, like a halo, the love of the artist for his work and the soul’s longing for earthly immortality. We Love Fridays! Do You? We love Fridays and the chance to share some new releases and specials with you. Here are some of our Friday finds for this week. EZ Albums v.6 & 7 Bundle by Erica Zane at SSD will make your scrapping quick and EZ! This set has plenty of options to fill your album with variety while keeping a consistent look – it includes 44 12×12 templates (blocks are sized as 2×2, 3×4, 4×4 and 4×6) each saved as .PSD, .TIFF and .PNG files. Looking for a fun new kit to scrap all of your January memories? 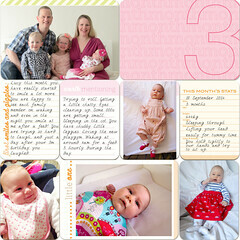 Check out Jennifer Labre’s brand new kit, Life Captured: January! It’s so versatile and on sale through Sunday! 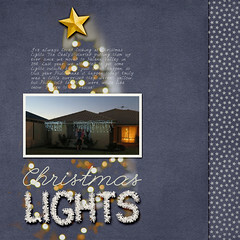 Scrapping with Liz has some new templates that will really help you add a special touch to your pages. Both sets are 20% OFF through 1/30/15. Studio has teamed up with Amanda Yi this week for a bright, bold & fearless collab called “Be Bold” available at The Digital Press. Save 20% and a further 20% for newsletter subscribers. Endings are inevitable in our lives, and Fuss Free: Hello Goodbye 1 & 2 are template sets to help you document a goodbye in your life. 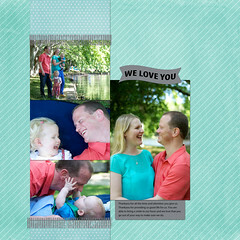 Journal cards built into the layout design allow for the necessary journaling that comes with fond farewells. Now through Jan 30th, if you purchase Set 1, you’ll receive Set 2 FREE! The templates are Fresh Fruit priced at 20% off for the first week. Combine the deals to get both sets for less than $4! Yin is offering a new set of her Half-Monthly templates for documenting a year – in two pages a month! The set of 8 templates have photo spots for 15 to 16 photos each. The set is 20% off at $4 through to this Sunday! Ever visited the rocky mountains? Then you need these templates by Queen Wild Scraps! 40% off through Jan 29th. Record all your house moving/selling/buying experiences with this versatile new kit from Digilicious Design! The Studio Girls are mixing it up again! Their latest Studio Mix 83: She Is Connected is a gorgeous mixed media style kit that can be used for layouts, art journals, home decor and so much more! Grab the A-side and B-side add-ons for 20% off for the first week. Melissa Shanhun’s Photo Editing for Absolute Beginners will be on sale as part of the 2015 DIY Bundle January 21-26. The 2015 DIY Bundle is your go-to library for a whole range of carefully curated DIY and crafting eBooks and eCourses. There are projects that the whole family can get involved in – from pet photography and home decor to chalk pastels and sewing. Read more about it on Melissa’s blog. Hi Beautiful from Misty Cato is full of happy elements and vibrant colors celebrating the beauty that shines from within every soul. I’m working on a new aA project and would love to get your input. Please click on the image below to help me out. Love You Always is an adorable Valetine’s Day kit great for boys and girls! 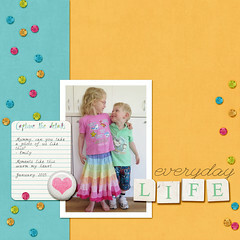 Scrap everyday memories with this great new collection, now on sale at Gotta Pixel and The Digichick. Save 30% off the kit and add-on packs through January 25th, or save 40% off the bundle every day! Amber has a fantastic new collection, perfect for documenting the things happening in your or your child’s life RIGHT NOW. A full pack of pocket cards perfect for answering all those interview questions, plus a gorgeous kit to match! Dunia Designs is now available at a brand new store: Scrapstacks! Sugary Fancy has a new kit this week! Like no Other is 20% off at Sweet Shoppe Designs this Saturday! We’ll be back next week for more fabulous funstastic goodness!